Hallelujah the snow is here! This title may be surprising for a number of people who understand how hard it is to work under such conditions. However, I would say that when the snow arrived two weeks ago, I did not expect it. Firstly, the snow came after over 2 months without any rain. 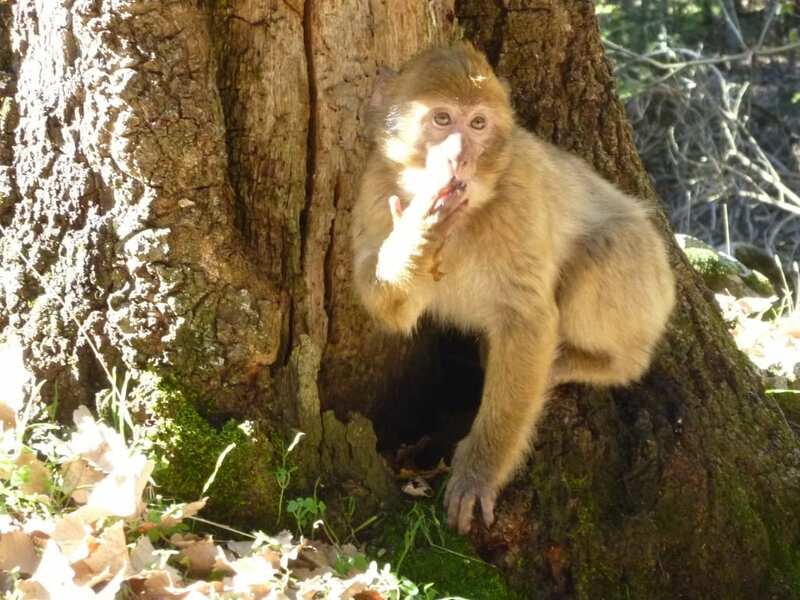 According to the locals, this snow is great news for the forest, the monkeys and all inhabitants of the region because it brings the essential water needed for the whole year! I realised that this winter had been extremely dry when I saw all monkeys sucking leaves on the ground in order to get some precious water. They were trying to find some holes in trees where water had not evaporated yet. This drought was making the collection of urine very difficult as monkeys were rarely producing the goods. Luckily, the snow arrived. 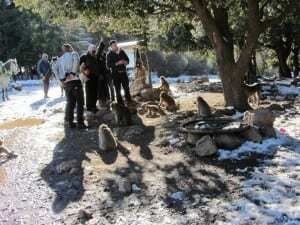 The monkeys have now enough water to stay hydrated and they urinate more often. Juvenile drinking water from a hole in tree. Secondly, the snow is an event in Morocco, especially for people who live in cities like Rabat or Casablanca and they have never seen the snow. The number of Moroccan tourists has consequently increased the last two weeks. This makes an interesting period for the social anthropology side of the project! 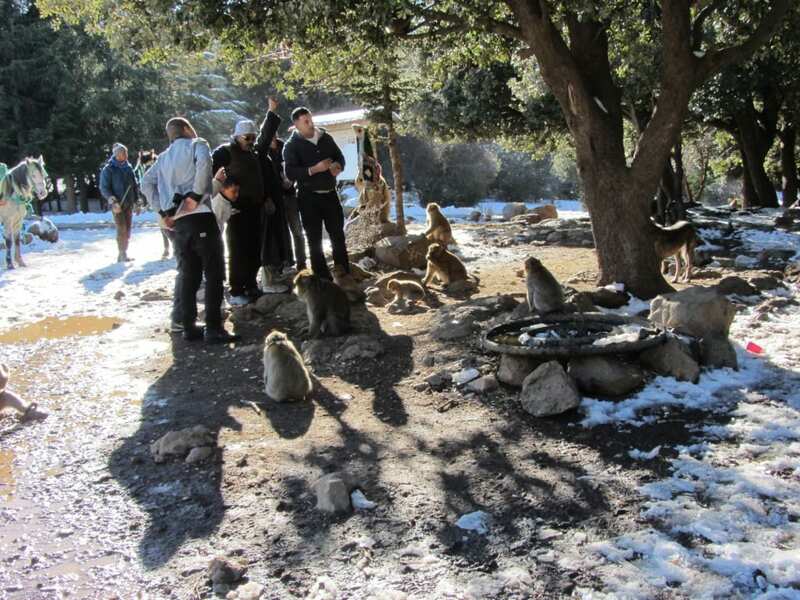 Thirdly, we had the great pleasure to help a team from the BBC to film the monkeys in the snow. As they were not successful the previous years to get all the shots of monkeys under the snow they wanted, but this year the snow arrived in time for them. Only one day filming and they got enough footage for their forthcoming documentary. The team and the BBC. Ok, I have to admit that for us, working in the snow all day is not easy but it makes us appreciate more the hot shower at the end of the day… when it works!